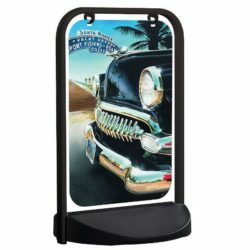 Packing Size: 15.75" x 27.56" x 15.75"
Stable, heavy and endurable pavement sign. Suitable to set aside on parking areas, play rounds, shop entrances and busy pavement roads; especially for windy areas. Standard in metalic RAL 9006 color. 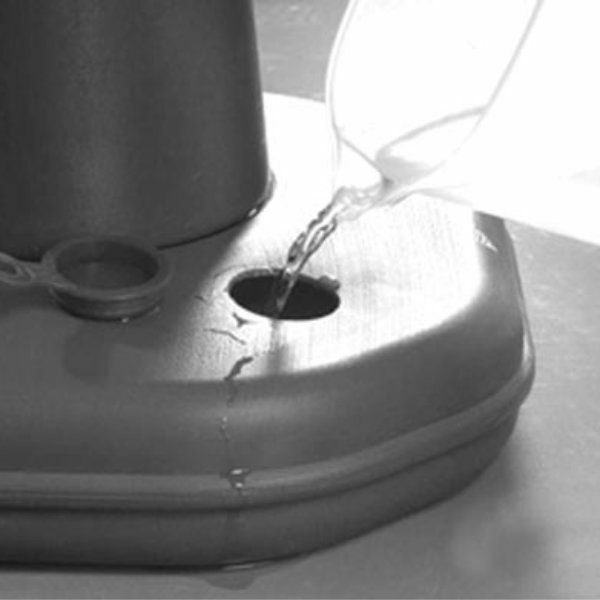 By opening the plastic stoppers , you can pour in either water or sand to make the stand heavier. You either do not have much space or you don’t need big posters to express what you want to say. 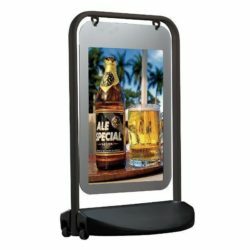 The cone sign holder is just for you to communicate and attract your target audience at a bar or a night club or event at a museum. Besides it transports by simply picking it up by the molded handle on top. 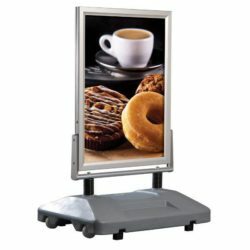 The graphic of the dual sided signage can be changed repeatedly, and provides maximum visibility since it is eye-level. 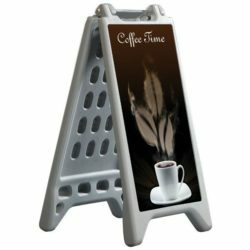 This plastic display frame is 44″ tall, which is the perfect height for a parking lot or sidewalk, so you can use it to direct traffic! Please note that custom vinyl graphics are not included and the area where the graphic is inserted measures approx 13″w x 15″h. 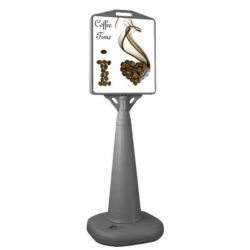 This gray plastic poster display is made from polyethylene to resist tough weather conditions without rusting or splintering. This means, once you buy it, you can use it continiously for years! 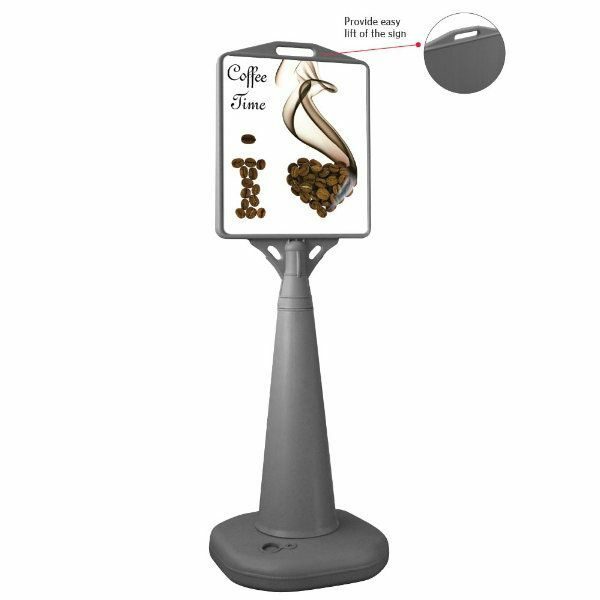 The base of this plastic poster display can be filled with water or sand for better stability. 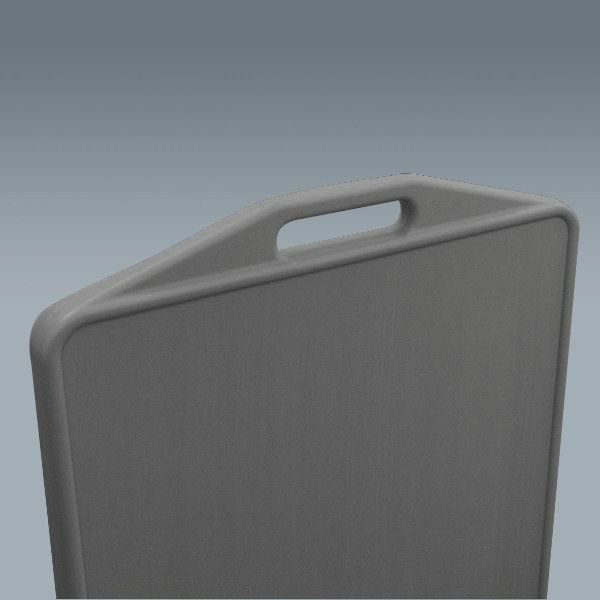 each base is supplied with industrial salt for outdoor use. Each cone sign holder is shipped unassembled and in three pieces, but is very simple and quick to assemble. You just step in three pieces together without any need for any tools. Buy it and use it for years to expose your messages!